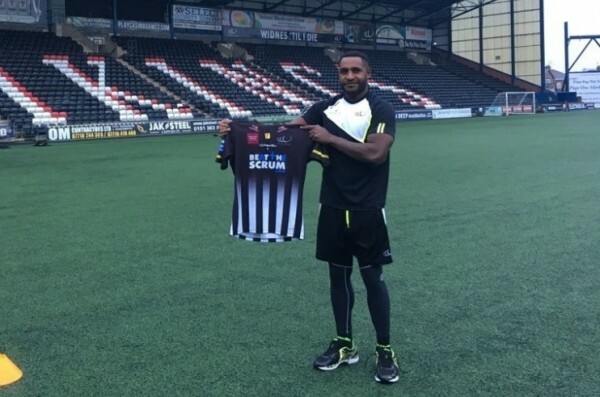 Widnes Vikings have announced that PNG International and Vikings recruit Albert Wellington has been granted a UK VISA to work and live in the United Kingdom. 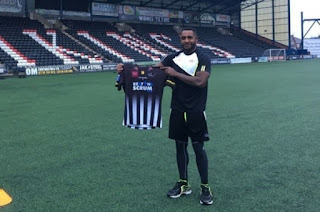 "We are delighted to confirm that Wellington Albert was yesterday granted his visa to work in the UK, officially beginning his time at the Vikings",the club stated via their website. Wellington had his final immigration meeting with the Home Office, where he secured his permit to work with the Vikings. He will proudly wear the squad number 36 this season. Stanton Albert is scheduled to have his visa meeting in the coming week, and Stronghold Members and supporters will be updated in due course. Widnes Vikings would like to thank Jeannie's Away Travel, 2018 Player Sponsor of Wellington Albert. Albert, who was one of the stars of the 2017 Rugby League World quarter-finalists, joins the Vikings from PNG Hunters. At six foot four and eighteen stone, the 23 year old is known for his pace, power and physicality. In 2014, he rose to prominence when he became the first Papua New Guinean to score an NRL contract directly from PNG, when he joined the Penrith Panthers, amid interest from Wests Tigers and South Sydney Rabbitohs. Albert represented the Panthers at National Youth Cup level and in the Intrust Super Premiership, before joining PNG Hunters this year. Wellington has impressed both domestically and internationally this season. Playing 20 league games, he was a constant presence in the side that secured the Hunters their first ever Intrust Super Cup premiership. With 37 tackle breaks and an impressive 679 post-contact metres in 2017, as well as 13 offloads, Wellington proved to be a handful for opposition defences with his strong leg drives and raw physical power. He again demonstrated his explosiveness and strength at the Rugby League World Cup, where he featured in the victories over Ireland and Wales, scoring in the 50-6 demolition of The Dragons. Albert plays primarily at prop, but has also been deployed effectively at wing, utilising his pace and strength. Strengthen your Club and back the boys in 2018! Sign up for Viking Stronghold Membership, which has been held at the 2017 early-bird prices. Not only will you receive the best value Membership ever and a host of exclusive Member benefits, you will also be making a real investment into the growth of the Vikings in 2018. To sign up, visit the Vikings Superstore, Tesco Extra, or call 0151 495 2250 (option 2). Click here for full information on 2018 Viking Stronghold Membership packages, as well as the full suite of Member benefits.